The Sanwaliaji temple of the Dark Krishna is situated on the Chittorgarh - Udaipur Highway, at the town of bhadsora, about 40 kilometers from Chittorgarh. The deity also known as Shri Sanwaria Seth. The legends has it that in the year 1840, a milkman named Bholaram Gurjar dreamt of three divine statues buried under the ground in the Chapar village of Bhadsora-Bagund. When the villagers started digging the place, they found the three statues, exactly as Bholaram saw in his dream. They were the statues of LORD KRISHNA-all of them beautiful and mesmerizing. One of the statues was taken to Mandaphiya, one to Bhadsoda and the third remain at the very place where it was found. All three locations became temples. When it was brought to Mandaphiya, at that time shri Rodulalji jain(Village head of Mandaphiya) with the help of villagers built a small temple consisting of four walls and shade and placed the statue by performing all the necessary rituals.Later on, the three temples of Sanwaliya Ji became renowned and devotees visit them in large numbers every day. The Significance and Importance of Sanwariya Seth Temple is that this temple is grand temple dedicated to black stone of Lord Krishna. Sanwariya Seth Temple is visited daily by thousands of devotees for holy darshan of Lord Krishna. The most important festival celebrated at Sanwariya Seth Temple are Janmashtami & other famous hindu festivals. The darshan timings of the Sanwariya Seth Temple might change during festivals and special days. The Aarti timings of the Sanwariya Seth Temple might change during festivals and special days. The nearest railway station to Sanwariya Seth Temple is Chittorgarh. The Chittorgarh Railway Station Code is COR. 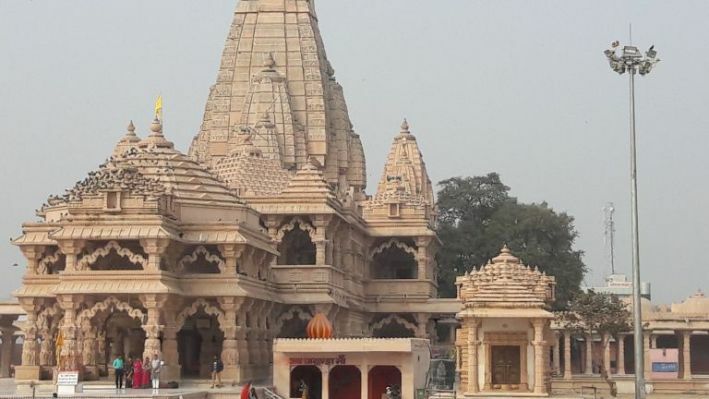 The distance between chittorgarh railway station to sanwariya seth temple is 33 Kms. There are daily express, superfast trains from Jaipur, New Delhi, Ratlam, Indore, Bhopal, Mumbai, Bengaluru, Kolkata, Agra, and Kota. The Nearest Aiport to Sanwariya Seth Temple is Maharana Pratap Airport (UDR), Udaipur Airport. There are daily flights from all important cities in India like Mumbai, Delhi, Chennai, Hyderabad, Bangalore, Pune, Bhopal, Raipur, Goa & Indore.